A new Congress has been elected to represent you and your business. 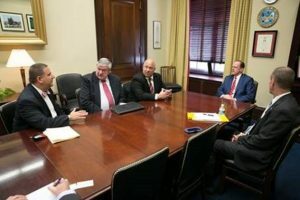 Join NFIB and fellow members as we meet with and educate Members of Congress on key small business issues. 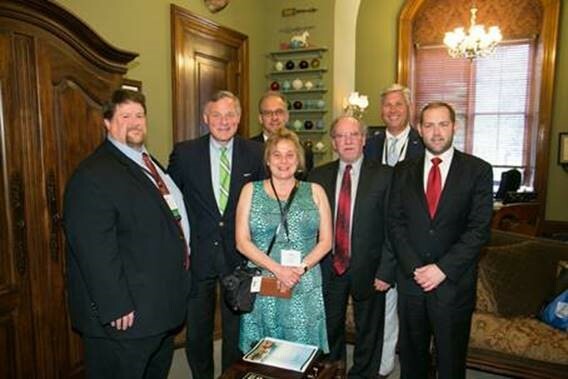 During last year’s Fly-In, NFIB members urged Members of Congress and their staff to repeal the IRS health penalty. A few months later, it became law! The same thing happened with making small business expensing permanent the year before. These two examples are proof that your voice will make a real difference, and that Congress is listening. The first 100 members to register will receive complimentary hotel accommodations for the night of July 26, 2017. If you are a member of the Leadership Trust and will be attending the Leadership Trust Appreciation Dinner the evening of July 27, you will receive two free nights of lodging. 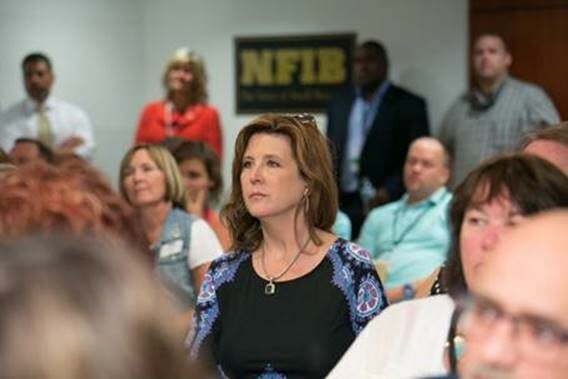 NFIB’s Advocacy Academy is a unique opportunity for members to get hands-on, in-depth training on how they can significantly enhance their abilities to influence lawmakers and the media. 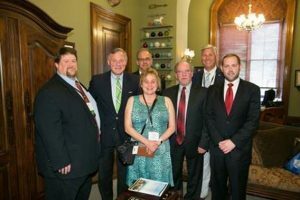 NOTE: The first 40 members to register for the Advocacy Academy and the Fly-In will receive complimentary hotel accommodations for two nights, July 25 and July 26. Attire: Business attire, business-logos, comfortable shoes, bring business cards. NOTE: Hill meetings will be scheduled by NFIB. We will be in touch with meeting details closer to the event. The Leadership Trust recognizes business leaders who contribute $1,000 or more annually to support NFIB’s efforts to elect pro-small business candidates at the state and federal level and educate voters about our issues. Click here to learn more. 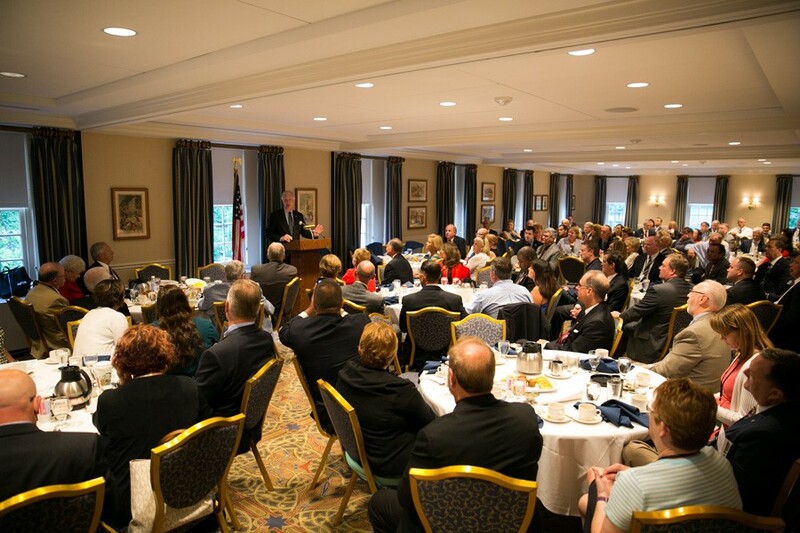 NOTE: If you are a member of the Leadership Trust and will be attending the Fly-In and the Leadership Trust Appreciation Dinner the evening of July 27, you will receive two free nights of lodging. NOTE: NFIB will be in touch with your hotel confirmation number. *The hotel requires that guests checking-in submit a valid credit card for any incidentals. If you requested a room with double-beds, please confirm with the hotel upon check-in. The NFIB registration table will be open July 26 from 11:00 AM – 6:00 PM and located downstairs in the Regency Foyer on the Ballroom level of the hotel. Yes. There is a flat rate of $80 per person attending the event. Will I need transportation once at the event hotel? There are two local airports: Ronald Reagan Washington National Airport (DCA) and Washington Dulles International Airport (IAD). DCA is closest to the event, downtown DC attractions, metro accessible, and roughly a $20-$25 cab ride to the hotel. IAD is roughly a $70-90 cab ride, depending on traffic. Transportation Resources: SuperShuttle, Dulles Flyer, taxi fare estimator, metro / trip planner, hotel has parking. For general event questions, contact Jessica Cooper at [email protected] or call (202) 314-2003. For questions about the Leadership Trust, visit, www.NFIB.com/Leadership-Trust or contact Anne-Wesley Teague at [email protected] or call (202) 314-2051. Yes! Feel free to take photos and videos throughout the event to document your Fly-In experience and post them on your Facebook or Twitter profiles. Be sure to include the event hashtag, #SmallBizVoice and @NFIB in your posts. Additionally, be sure you follow NFIB on Facebook and Twitter, and engage with us throughout the event.